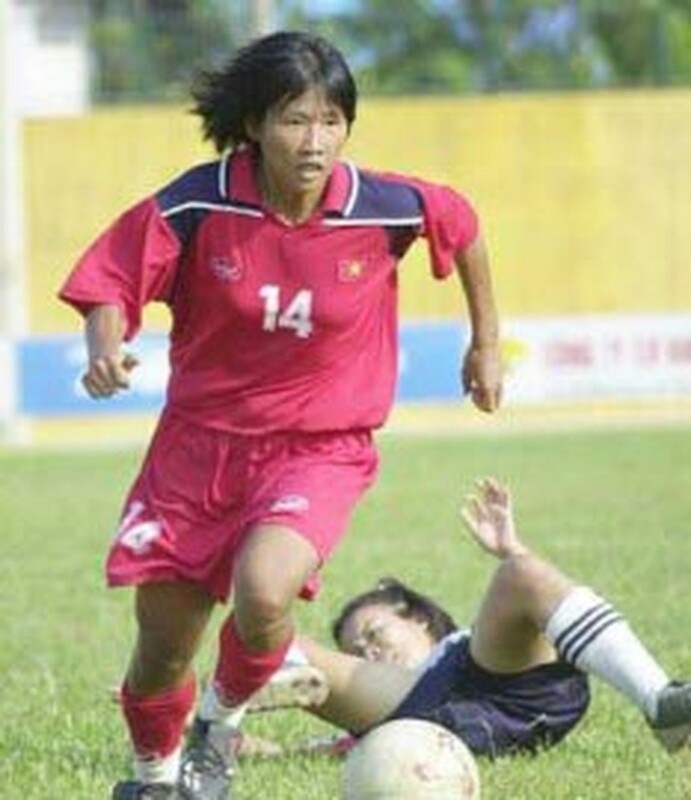 Viet Nam and Song Lam Nghe An striker Le Cong Vinh, and Ho Chi Minh City footballer Doan Thi Kim Chi of the women’s national squad have won the 2007 Golden Ball title. Both had earlier obtained the prestigious accolade twice. Cong Vinh has earned 425 points from the votes cast by coaches, football officials and reporters, surpassing his mates in the national team Nguyen Minh Phuong and Nguyen Vu Phong. Viet Nam captain Phuong, who is playing for Dong Tam Long An, has achieved 186 points to take the Silver Ball title, and Binh Duong’s Phong bagged 89 points to get the Bronze Ball title. 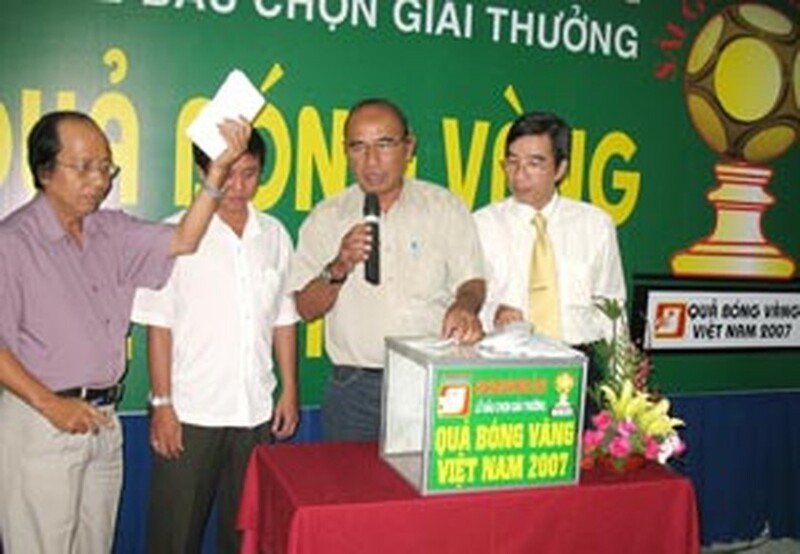 Sai Gon Giai Phong newspaper, the organizer of annual voting for the titles since 1995, held the poll on Tuesday in HCMC. Last year, Viet Nam reached the quarter-finals of the Asian Cup for the first time, and the three players made considerable contributions to this performance. However, the team concluded the year with a disappointing end that saw the departure of coach Alfred Riedl and a heavy 0-5 loss to Singapore in the Southeast Asian Games. Vinh is currently a leading striker in Viet Nam. Till now, he has won the Golden Ball title three times (2004, 2006, 2007) as veteran striker Le Huynh Duc did previously in 1995, 1997 and 2002. The T&T Hanoi Club’s Nguyen Thanh Long Giang was selected the Junior Player of the Year, while Nigerian striker Almeida of Danang was voted as the Foreign Player of the Year. Doan Thi Kim Chi, captain of the HCMC team and the national squad, won the Golden Ball title with 420 points. Ha Tay Club’s Dao Thi Mien earned the Silver Ball with 237 points, and HCMC’s Tran Kim Hong obtained 52 points to gain the Bronze Ball. They all made substantial contributions to the 2007 Southeast Asian Games silver medal of Viet Nam. Kim Chi also obtained the Golden Ball title for 2004 and 2005. Sai Gon Giai Phong newspaper will present awards to the owners of the 2007 titles later this month. Vinh will receive VND20 million, Phuong will get VND15 million, and Phong VND10 million. The women’s prizes are VND15 million, VND10 million and VND7 million, respectively. The Junior of the Year and the Foreign Player of the Year will pocket VND7 million each.